The demand of transferring contacts from a Motorola phone to iPhone is becoming more and more common because more and more Motorola users want to switch their phones to new iPhone. The two types of phones are running different systems so there is no choice but to type the contacts one by one to the new iPhone 7/7 Plus/6S/6 manually. To ease the contacts transfer, this article will introduce a faster way to transfer contacts between Motorola and iPhone. You need a professional Motorola contacts to iPhone transfer tool to help you out. 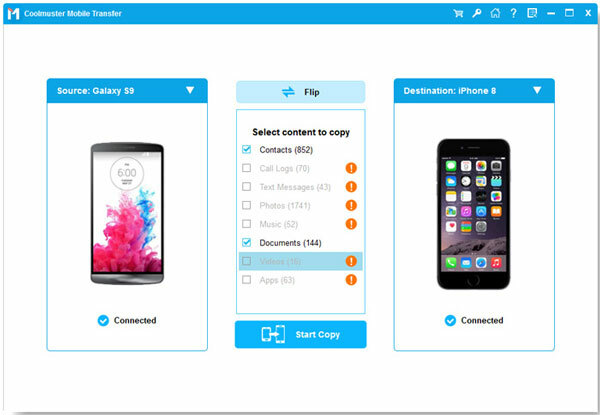 This Coolmuster Mobile Transfer is a specially designed phone to phone data transfer that can help you transfer contacts, text messages, photos, videos, music and apps from Motorola Droid/Atrix/Moto X to iPhone 7/7 Plus/6/6S/5/5S, and vice versa. Additionally, it not only transfers phone number, but also copies other contact information, like email address, job title, company name, etc..
Ok, let's begin the trip of how to transfer contacts between Motorola and iPhone with Mobile Transfer. How to Perform Motorola to iPhone Contacts Transfer? 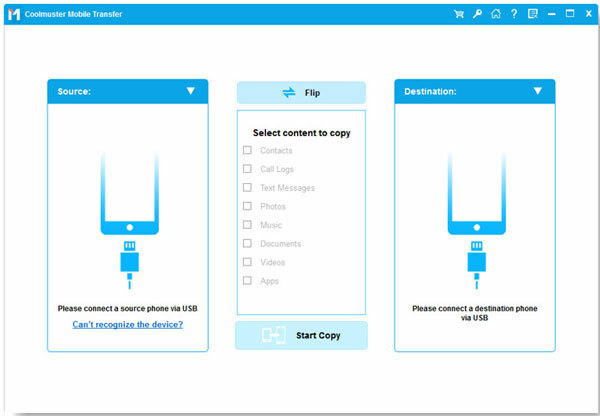 To begin with, download and install this Mobile Transfer on your computer. Launch it and connect both your phones to the computer via USB cables so that they can be detected by the program. Last step, uncheck other file types and only select "Contacts". When all the contacts are scanned out, you can tap on the left or right transferring icon to start move the contacts between the two phones.